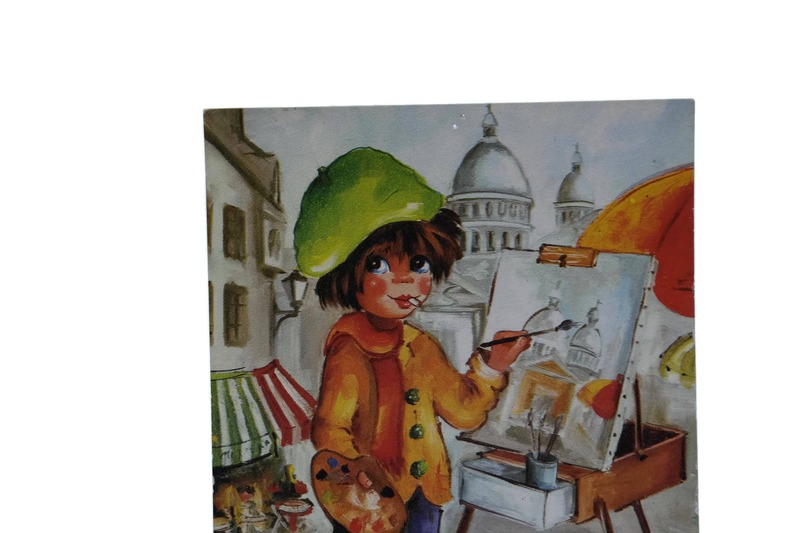 French Vintage Big Eye Print Postcard with Montmartre Artist. 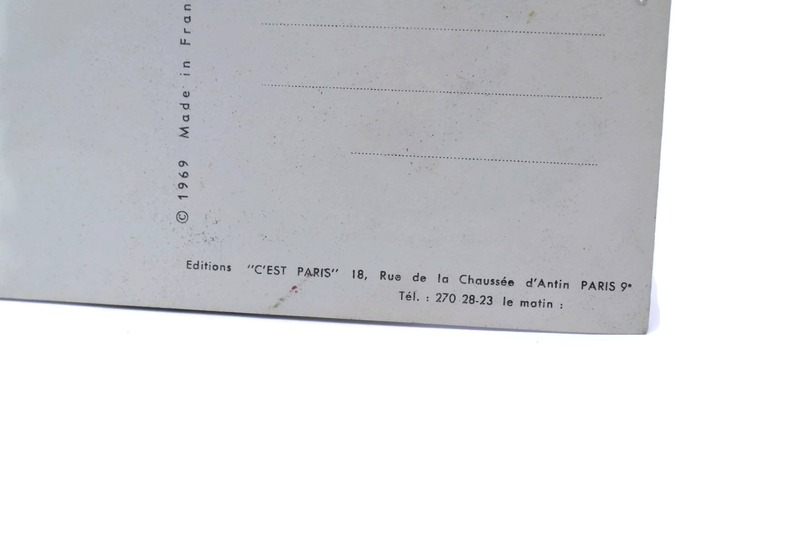 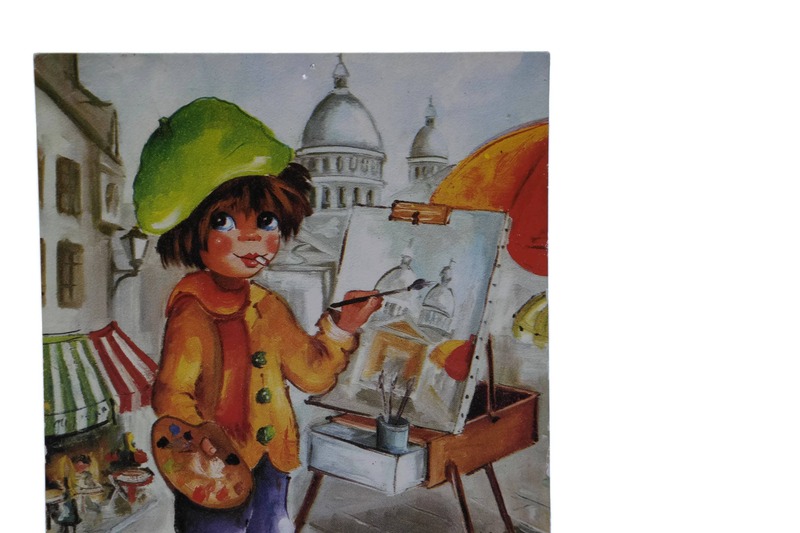 An adorable vintage French big eye print postcard dating to the 1960s. 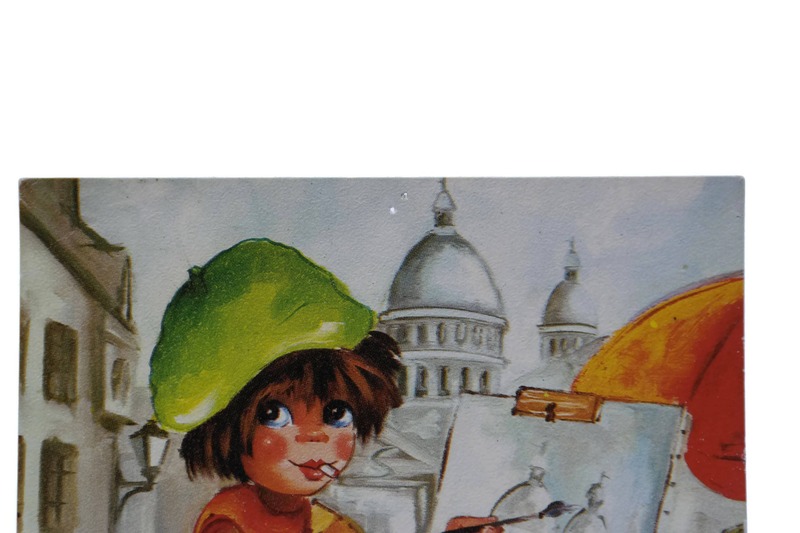 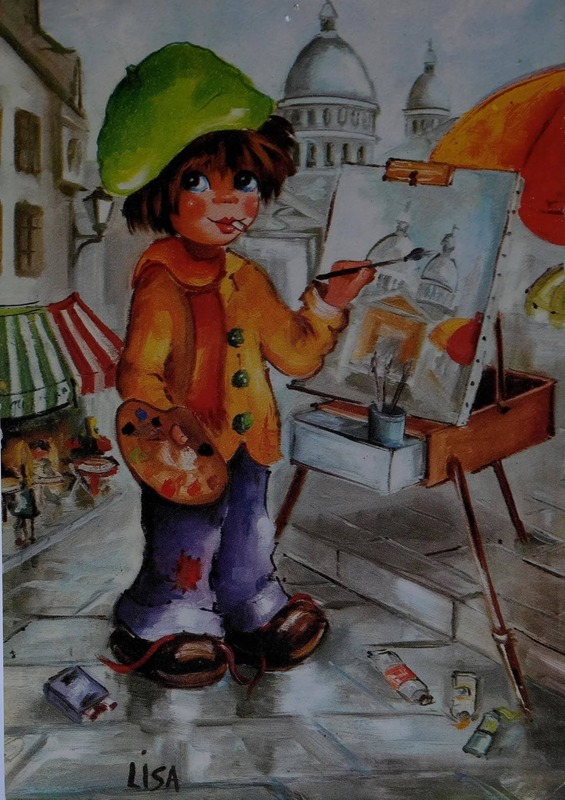 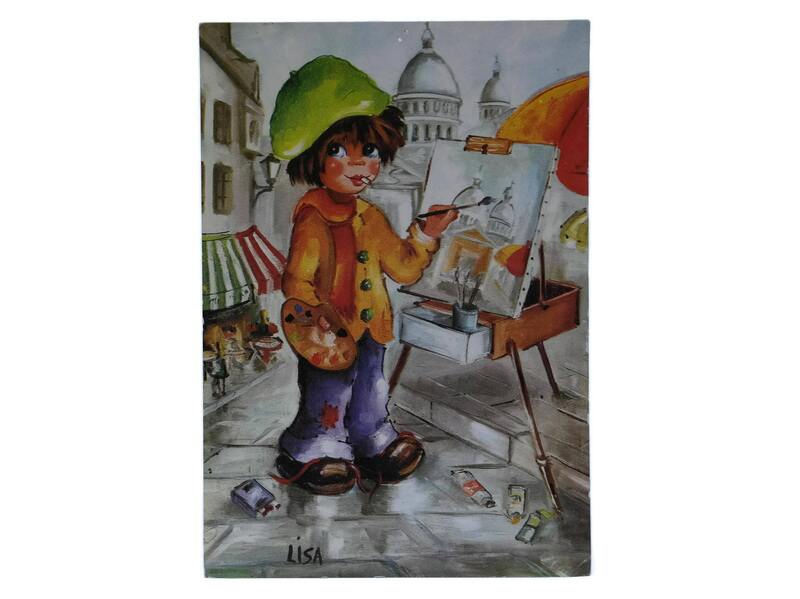 The colorful souvenir postcard features a boy artist in Montmartre, Paris with the Sacre Coeur chuirch in the backgrounf. 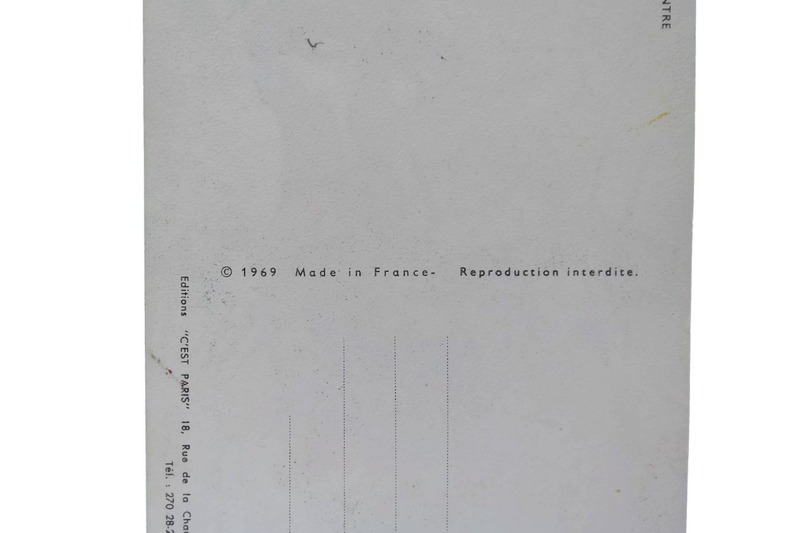 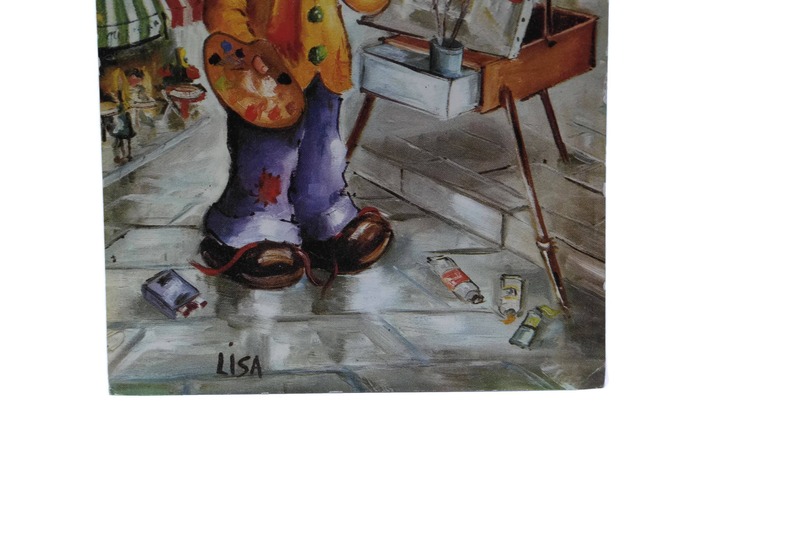 The postcard has been printed from a painting by the artist Lisa and has been dated 1969. 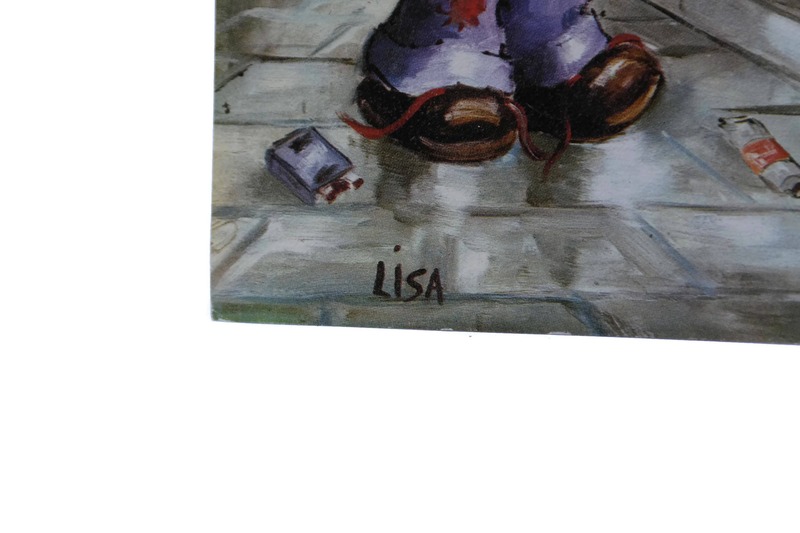 The vintage big eye boy artist postcard is in good condition with light wear in places. 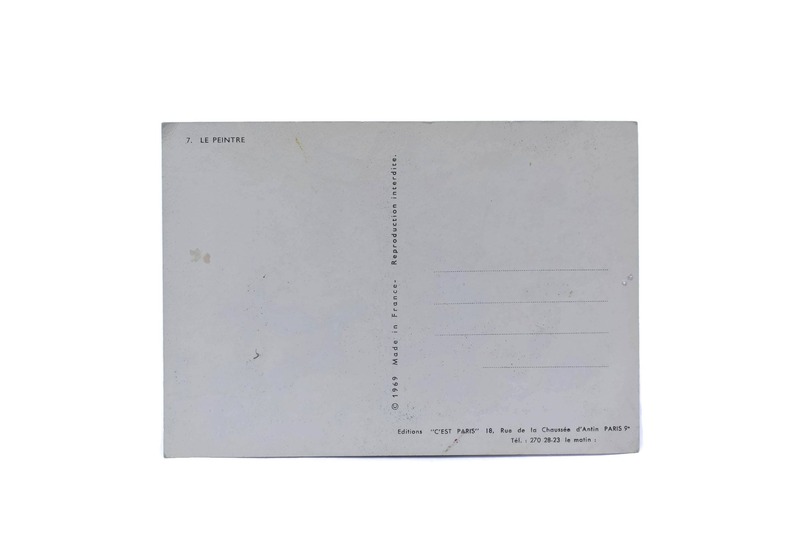 There are 2 small pin holes to the center top of the card.